"The appellant ought to succeed on the singular ground that the High Court unjustly proceeded against him without framing formal charges or furnishing such charges to him", held the SC. The Supreme Court has set aside the conviction and sentence imposed by the Delhi High Court under the Contempts of Court Act 1971, holding, inter-alia, that formal charges were not framed against the person. 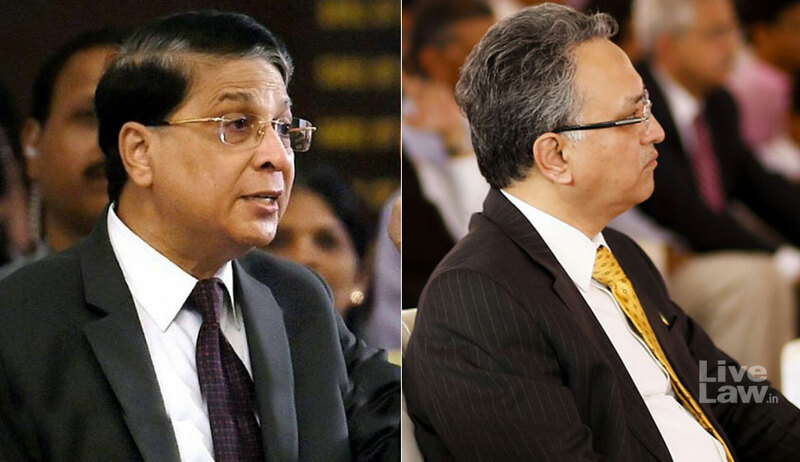 The Division Bench of Chief Justice Dipak Misra and Justice A M Khanwilkar was considering appeal filed by on R.S Sehrawat, who was working as a Junior Engineer at the Municipal Corporation of Delhi. The High Court had found him guilty of filing false affidavit and attempting to mislead the Court, thus committing contempt of contempt of court. He was sentenced to undergo simple imprisonment for a period of 30 (Thirty) days and to pay a fine of Rs.25,000/- (Twenty Five Thousand Only). The issue arose out of a writ petition in Delhi High Court filed by one Rajeev Malhotra, whose grievance was that a construction made by him, which was permitted by the Corporation, was later demolished by the Corporation itself on that ground that it was unauthorized. While considering this petition, the High Court noted that as per an earlier order issued in a PIL, constructions in that area were prohibited. The Court observed that by permitting construction in violation of the direction in the PIL, the concerned officers committed contempt of court, and initiated suo-moto contempt action. The appellant filed affidavit stating that he had carried out demolition of the construction as per the orders of the superiors. The Court appointed a Committee of Advocates to inspect the site, who submitted that the construction was still in existence. From this,the Court proceeded to hold that the appellant tried to mislead the court by stating that the construction had been demolished. The judgment authored by Justice A M Khanwilkar noted that the appellant was not served with any charges much less specific charge which he was expected to meet. Further, the Supreme Court held that the appellant's affidavit regarding demolition of the building cannot be doubted as it was supported by other contemporaneous records. The Court also said that the chances of the demolished construction being resurrected by the time the Court appointed Committee made inspection cannot be ruled out. Referring to the precedents Sahdeo Alias Sahdeo Singh Versus State of Uttar Pradesh and Others (2010) 3 SCC 705, Muthu Karuppan,Commissioner of Police, Chennai Vs. Parithi Ilamvazhuthi and Anr (2011) 5 SCC 496, and Mrityunjoy Das and Anr. Vs. Syed Hasibur Rahaman and Ors (2001) 3 SCC 739, the SC held that the contempt proceedings were quasi criminal in nature and therefore the standard of proof is that of proof beyond reasonable doubt. "As a matter of fact, the appellant ought to succeed on the singular ground that the High Court unjustly proceeded against him without framing formal charges or furnishing such charges to him; and more so because filing of affidavit by the appellant was supported by contemporaneous official record, which cannot be termed as an attempt to obstruct the due course of administration of justice. Accordingly, this appeal ought to succeed", held the Court.